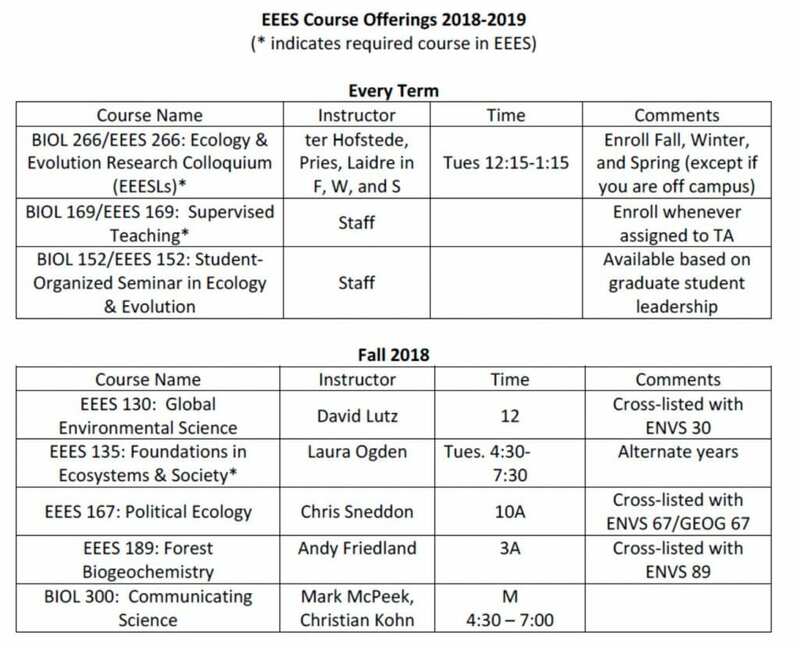 The EEES curriculum is designed with flexibility to accommodate the broad interdisciplinary interests of our students while ensuring that they have a rigorous disciplinary foundation. Strong mentoring is provided by an advisory committee of 3-4 faculty, who are assembled to match the student, and who work with the student to develop a customized curriculum, independent research plan, and professional development program. We also encourage and facilitate bottom-up learning opportunities, which includes courses, seminars, and working groups that are designed and led by graduate students. The EEES program has two tracks: Ecology and Evolutionary Biology (EEB) and Sustainability, Ecosystems, and Environment (SEE). 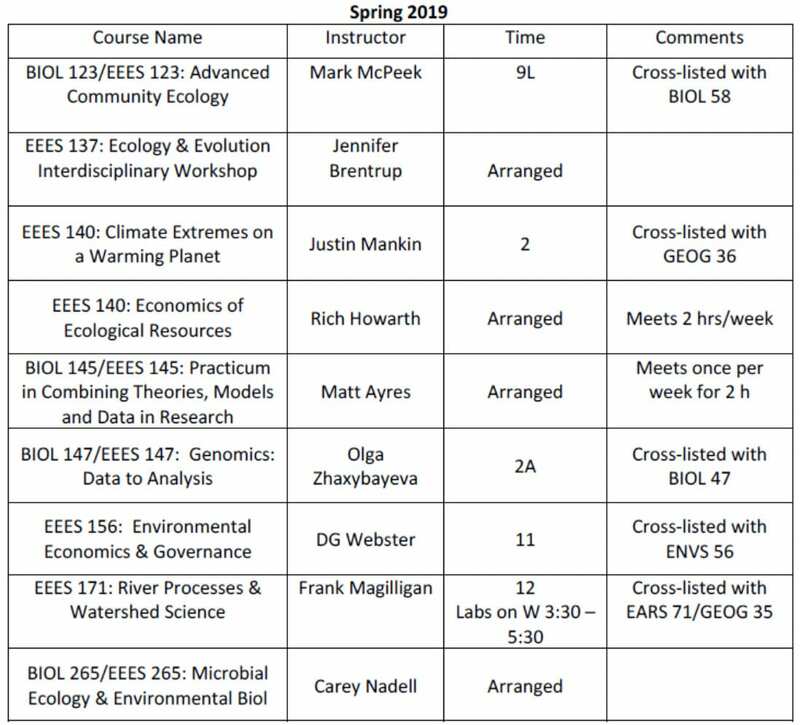 Students in both tracks take two Foundations course, two statistics courses, participate in mentored teaching experiences, participate in a common weekly research colloquium, and participate in seminars and discussions with visiting scientists. 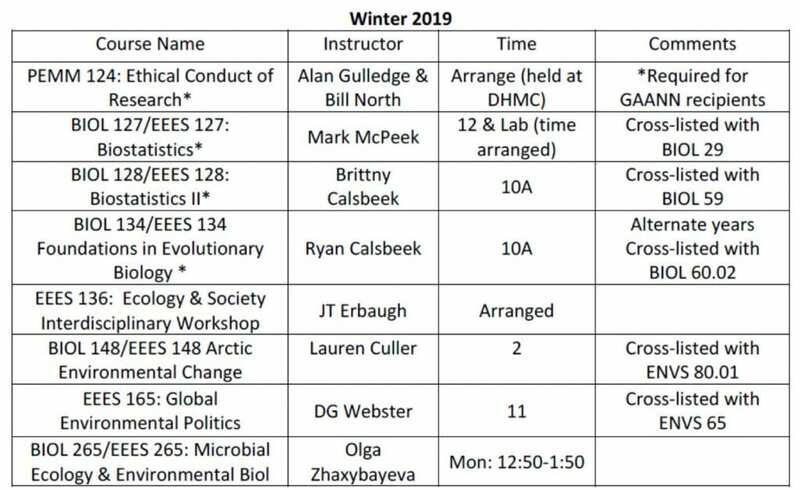 Most students also take a few other electives from an evolving list of options, which can include short courses taught elsewhere. More on curriculum within EEES Guidelines for Ph.D. Program.